Running a car wash is a lot of work. You have to have a prominent location and you constantly need to get enough cars to wash in order to make it worthwhile. Car detailing is a way to earn cash at home washing cars without needing as many jobs to stay busy or a great location to bring in business. A profitable car detailing business specializes in micro-cleaning high value, luxury and sport vehicles. It means cleaning the vehicle extremely well inside and out, waxing it and charging a lot more for it because it’s such a special car. This is the perfect money making idea for car enthusiasts. A car detailing business is different from a general car wash. Car detailing involves doing an extremely detailed cleaning of a car, inside and out, with waxing, polishing, and other extras included. A car wash is usually more general. 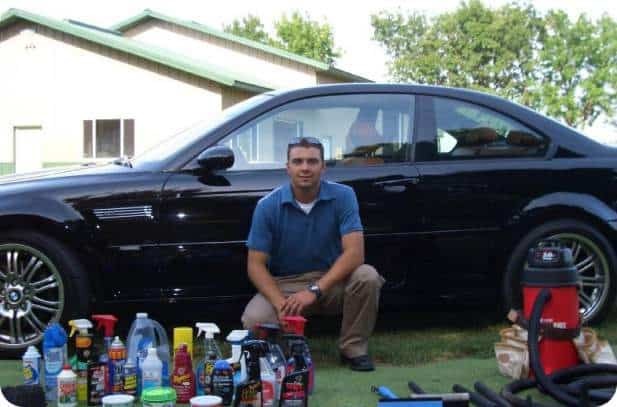 If you love to take care of your car, starting an auto detailing business can be rewarding both financially and in the work you can accomplish, especially if you love what you do. You should start small unless you have the experience and capital to start with your own shop. The first thing you need to do before anything else is to learn how to effectively detail a car. It’s more than just a basic wash and wax, and if it isn’t done properly, there could be costly damage done to the car. I recommend picking up a copy of the Automotive Detailing: A Complete Car Guide for Auto Enthusiasts and Detailing Professionals. This book will teach you how to detail a car professionally. It is important to always do a good job because you may be detailing all sorts of expensive sport and luxury vehicles as well as basic economy cars, trucks, SUVs, etc. Once you know how to detail a car, you need to get tools and supplies. Use this book to help you find out what types of tools to use including buckets, rags, brushes, hoses, cleaners, waxes, clays, etc. Will you be detailing at your home, at your shop or on the road? A great way to start is to start with a mobile auto detailing business. You can start with a truck to detail the vehicles and drive to the owner’s home. Bring your supplies including a tarp to shade the vehicle from the sun if necessary. Make sure they have a source of water you can use. It is very important to have lots of experience detailing vehicles, especially before you start car detailing for wealthy individuals with very expensive cars. They don’t want just anyone touching their investments. Always keep your own car clean. If you love cars and auto detailing to start with, you probably already have a clean car. Keeping your own car in great shape is a good advertisement and will draw in more customers. Get more experience by detailing your friends’ and family members’ cars. You can start with a few people who trust you and give them a very low, discounted rate. Use these people as your testimonials and references. Have the friends and family members whose vehicles you detailed to tell everyone they know about your services. They are the best because they can talk about how great the job you did was. Tell everyone you know to spread the word. Put an ad in the newspaper and hand out flyers. You will probably get more work through word of mouth, especially when you’re just starting out, but this can bring in clients. Set up a website and list all your services and experience. Ask past customers to write up a testimonial to put on your website. Be sure to put lots of pictures of beautiful, shiny cars you detailed on there, too. Advertise your site through Craigslist, service sites, Facebook, etc. You can find more ways to promote online here. Always do a great job because your best customers are going to be returning customers. If they like your work, they’ll tell their friends and come back again and again. Know what you’re doing and make it obvious to your customers. Take a look at their car before taking the job and let them know what you can do for them. If you don’t, you risk looking unprofessional and appearing like you have no knowledge of what you’re doing. Sell your services to them. If you’re having trouble getting work from the start, consider detailing for used car dealerships. They often have a lot of work, but they don’t pay well. However, you also don’t need to be as good as a very expensive, high-end car if it’s just a basic car they need to sell. In the beginning, you’ll have to charge less in order to get customers. Over time, you can raise your rates. Set up rates for different vehicles, services, etc. Find out what other people in your area are charging to give you a starting off point. Offer contracts with discounts. For example, if someone signs up for regular monthly or weekly detailing for 3 to 6 months, you can knock some cost off their bill and secure regular work for yourself. 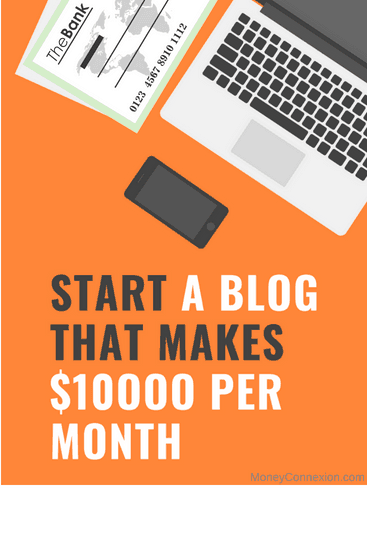 Plus, you could get paid up front. From the start, you might have to get any car you can get. Over time, you should focus on high-value cars because you can charge more. Market to wealthy neighborhoods, find auto clubs, etc. Once you make a name for yourself in the high-value market of your area, you’ll find more referrals for better paying jobs. Renting or buying a shop to detail cars in. Hiring and training employees so you can detail more cars. Expansion can be as complex as adding mechanical services or as simple as increasing your capacity. Either way, you must have good business sense and knowledge of the business. Good points to use them. Where do you order your supply from when you started up? This is some great advice, especially your suggestion to get experience. After all, car detailing requires a lot of finesse and skill. You want to make sure you have a lot of that mastered before you even think about asking someone to pay you to do it. I am more Interested in car detailing,and doing it in my home,more than 50 cars i detailedi want to start but i am not having enough money to start. You don’t need very heave investment to run this business. You can get more ideas about this business if you are serious. You will get the complete idea from the book & if not sufficient, you can refer more similar books. Can someone help me to start this business, it will be appreciate. I can help you start this business I have been in the business 20 years I have a lot of hands on experience. What are the legal formalities to start a car detailing shop in Delhi, India? This is very great information on Car detailing business. It may be very useful and profitable for the person who want to start home business as a part time. So nice post on the Home based business. Thanks a lot to share such type of valuable information on this topic. I have to start this home based business for more earning. This is an awesome technique to start a small business. Car parts and accessories are more popular in other countries. In our country also it is popular but the online presence is not strong enough. Even people don’t prefer much to buy online and install. Always depend up on the service center.